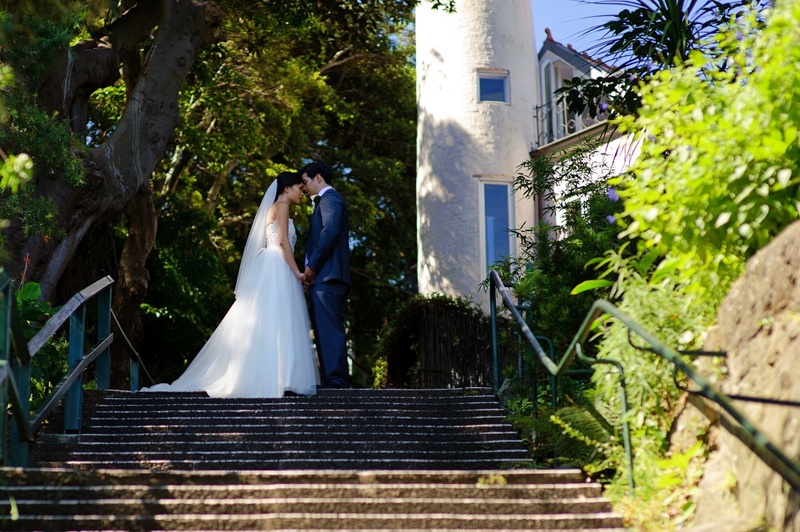 Often, we think of weddings as lavish affairs, big events that are really meant to be one for the books. We spend a lot of money on venues, decors, menus, and more. We get the gown with the most intricate pattern, and the tallest wedding cake. But like a well-written poem, there are times when less is more, and a minimalist approach to nuptials work best. After all, what should be the primary attraction in a wedding is the love shared by the couple at the ceremony. Why not let the sweet emotions shine out more with a minimalist wedding theme? Here are a few things to keep in mind to make that happen. Go for monochrome, and focus not on the visuals but on the way the invite is worded or written. This sets the tone for the wedding. The key here is to ensure the invites (and everything else) are of high quality. Less doesn’t mean being cheap! White chairs and tables may be the go-to when it comes to minimalist setups, but for the wedding to be unique you can always opt for transparent ones! You just need to know where you can rent clear chairs and tables. Ghost-style seating is sure to wow your guests — minimalist doesn’t have to be boring. Instead of focusing on a wedding gown with embellishments, try getting a gown that brings out your best features instead of distracting from your natural beauty. A well-trained designer has many aspects he could play with here — the cut, the color, etc. Get rid of the lace and embroidery — you’re the one getting married, not your gown! Try a setting in muted colors, accented by natural designs of your choosing. Instead of full-blown flowers, you can opt for buds and greenery. This highlights an intimate atmosphere all throughout. This extends to everything, from the wedding arch to the menu at the reception. For the latter, go for simple flavors and colors that exude quality above anything else. Weddings are once-in-a-lifetime, and if you want yours to be unique you could scale down and focus instead on what you want the audience to bring home. Being minimalist isn’t just about having “less”, after all. It’s all about focusing on what matters. 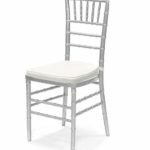 Silver Chiavari chairs are just right for a minimalist wedding theme. Reserve your wedding chairs today by calling Signature Event Rentals, Virginia’s Premier Special Event Rental Resource.